Funds 28 groundbreaking all-girls programs in 56 communities across Canada. Canada's largest mental health and addiction teaching hospital. Website includes information for children, youth, and parents and in other languages; research on girls and substance use; and program manual for Girls Talk. Resources for developing healthy schools and campuses, from prevention to intervention to policy. Gallery, reports, and fact sheets from the John Hopkins Bloomberg School of Public Health. -related choices and their consequences for underage drinkers. 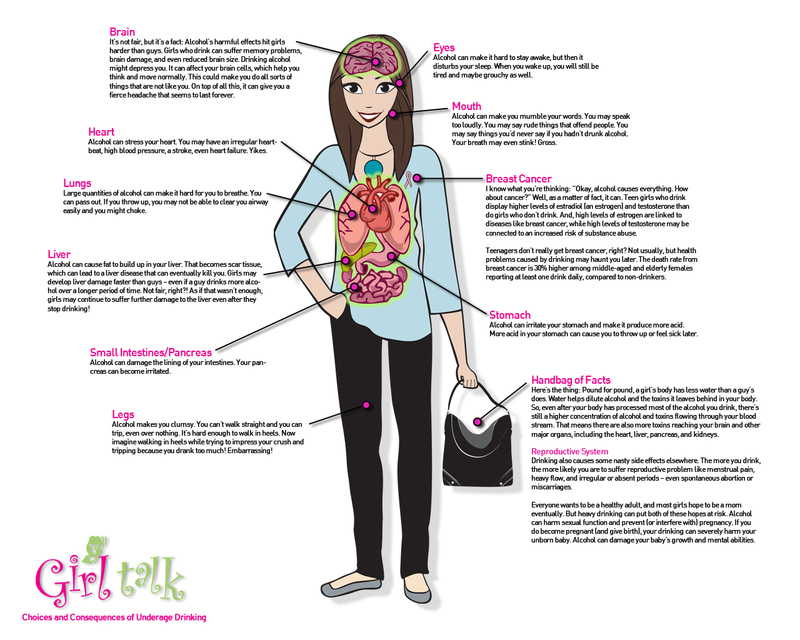 The site also includes a visual graphic Virtual Girl illustrating some of the effects of alcohol on the body for girls and young women. Hardy Girls Healthy Women is a national, research-based non-profit organization educating adults in strength-based approaches to working with girls (grades 2-12) and empowering girls with knowledge, critical thinking skills, and a platform to drive social change. Resources for change from Jean Kilbourne, internationally recognized for her groundbreaking work on the image of women in advertising and for her critical studies of alcohol and tobacco advertising. Gender-specific training and curricula, including the Girls Circle program, a structured support group for girls from 9-18 years. This report from the Canadian Centre on Substance Abuse discusses the influence of student/classroom survey data on policies, programs and practice across Canada. Summaries of recent surveys also available.